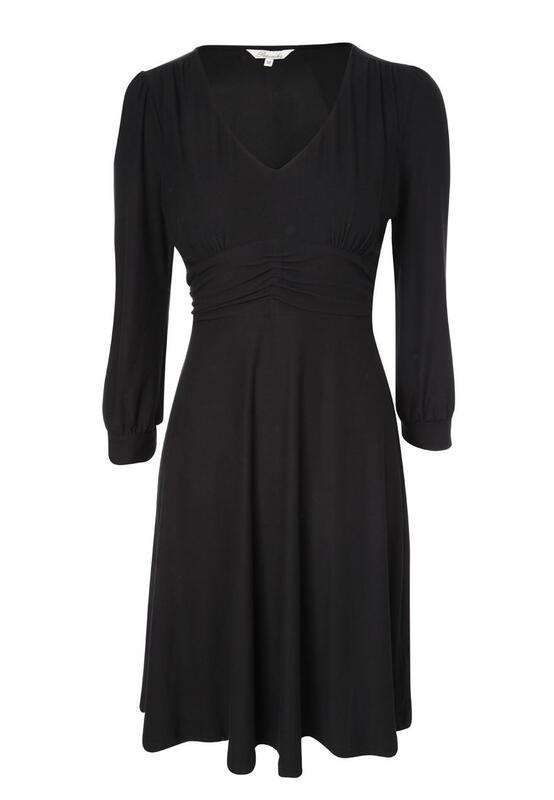 Look super elegant in this womens V neck gather pleat dress. 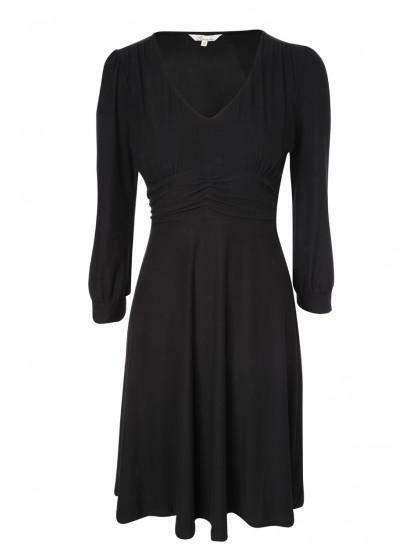 Its gathering around the waist coupled with the V neck and billowing, long sleeves is classic and flattering. Team with a pair of tights and court heels for a sophisticated style.